I work in my garden because I love to watch my plants grow. There are two things which really make me forget about the problems of the world – If ever I am having a stressful day or been upset by something, taking a few minutes out to cuddle or play with one of my “four-legged” family members always seems to relieve some of the stress and put things into perspective. Even better? A walk around my garden with both of them in tow as we admire new growth, sniff a flower or pluck out a weed … and the world is right once again. My lovely Pandorea Jasminoides have sprouted lots of new leaves and stems since last weeks “cutting back” exercise and two of the tree have new flowers! They are so pretty. 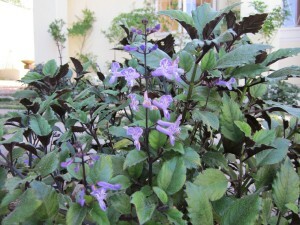 And then today we are admiring our Plectranthus – ‘Mona Lavender’ which are just starting to flower now. The Mona Lavender is an attractive form of Plectranthus that does not spread like other members of the family. 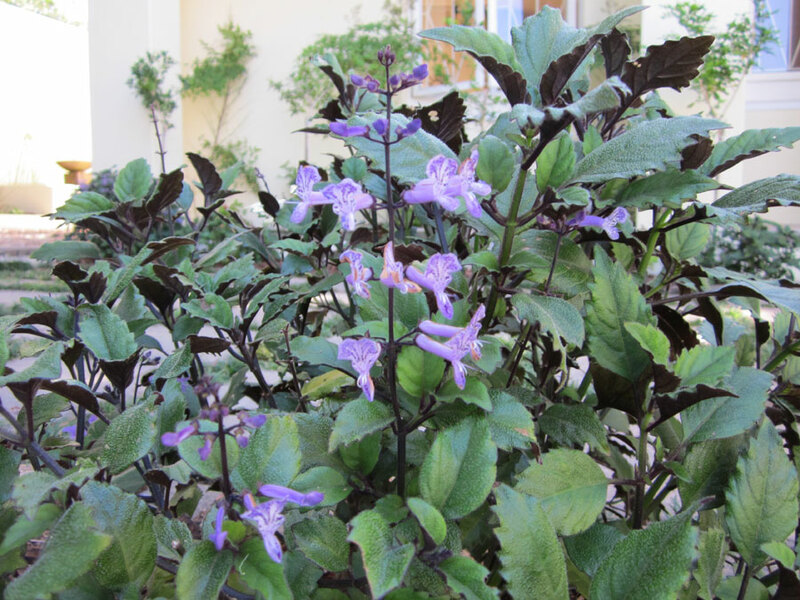 It is a wonderful solution for shady areas in the garden and apparently also makes an ideal container or basket plant (though I haven’t tried that). Numerous spikes of lavender coloured flowers begin to appear from late summer and flower through autumn. 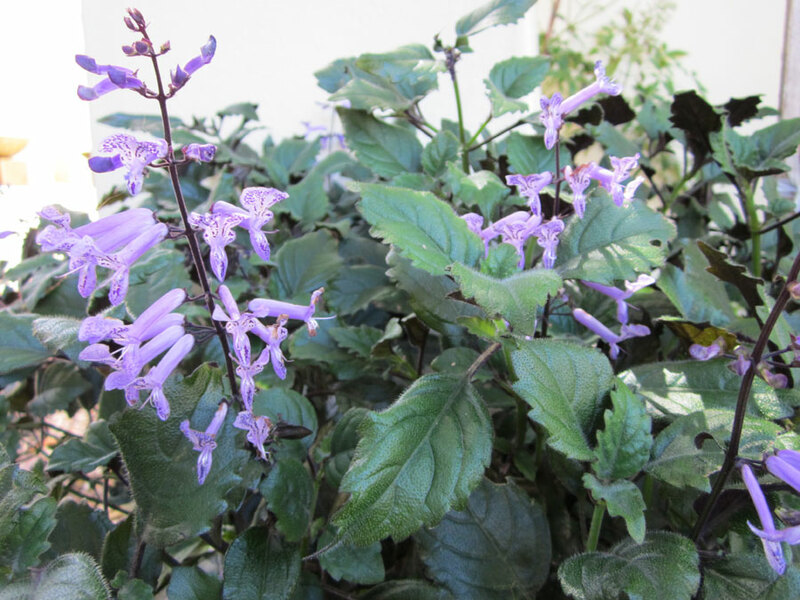 They form a neat low shrub with an upright, erect habit and when not flowering, it’s ornamental foliage of deep green leaves with dark purple coloured undersides are very attractive too.